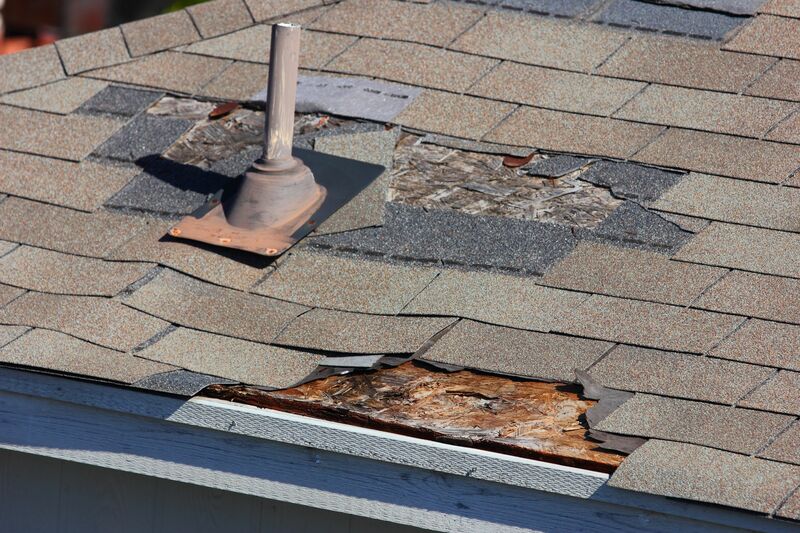 Unexpected roof damage can wreak havoc on your wallet and stress levels. Over time, roof problems are unavoidable but by conducting regular maintenance, expensive problems are less likely to occur. If you’ve discovered a roofing issue, it’s best to repair the problem as soon as possible before the issue worsens and causes premature failure and/or a decrease in product life. Living in Canada, we’re prone to precipitation. We experience rain, snow, hail, and ice and unfortunately, all of this moisture is hard on the top of our house. When moisture seeps underneath the flashing, it could result leaks, mold or rot. When you’re shelter has poorly installed flashing, you’re at risk for blown off tiles contributing to ceiling leaks. Flashing is an important part of a well-functioning roof as they’re what seals up the intersections caused by vent pipes, chimneys or heating and cooling systems. When you have correctly installed flashing, you’ll prevent water from seeping in. Trees look beautiful in your backyard, but if overhanging tree limbs are rubbing on your roof, you’re risking serious damage to the shingles and protective surface. It’s also important to know that excess debris falling into your gutters is more likely to happen when your house is surrounded by trees, resulting in clogged up drains. Trimming the limbs or cutting down the tree are possible solutions to avoid excessive damage to the top of your home. Installing a ventilation system properly is crucial for warm air in the home to naturally rise and leave through the top and cool air to be pulled from the bottom. When vents are placed at the eaves, soffits and ridge, you’re regulating temperatures and moisture levels in the attic or upper floors. By properly ventilating, you’ll also decrease the risk of higher energy bills and mold along with damage to the shingles, insulation, rafters, and sheathing. If you’re indifferent about your shingles that blew off, have a ceiling leak that you’ve solved with a bucket, or debris building up in your gutters that you feel is “no big deal”, you need to get these issues fixed ASAP. Ignoring standard maintenance will only end up causing more severe and expensive issues in the (probable) near future. Save your money and extend the life of your shelter by fixing issues when they arise and performing routine inspections often. If you or the person you hired lacks experience, installing your own roof may lead to one of these common roofing problems. Protect your investment and don’t risk it! . At Claw Roofing, we are the Calgary roofing experts when it comes to professional installation. Our certified journeyman believe in excellence and professionalism and are committed to providing you with a long-lasting product that’s durable and reliable. We’ll always provide our best work and never compromise on quality.